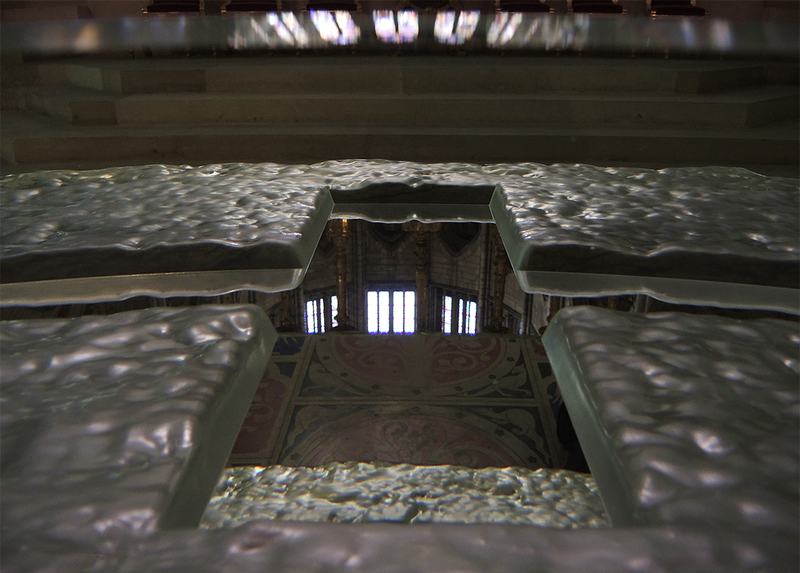 Inauguration of the Altar in the basilica and cathedral of Saint-Denis ! D-Day is here ! After more of 4 years, the new altar is ready to take its place in the basilic of Saint-Denis, come to discover the Vladimir Zbynovsky's artwork for the inauguration of the 7 of Febuary at 17:30 pm, people involved in the project will speak, this event will be followed by a concert and some visits of the place, so let see us Wednesday ! Click here to get the invitation ! Pose de l'Autel à la basilique-cathédrale de Saint-Denis ! 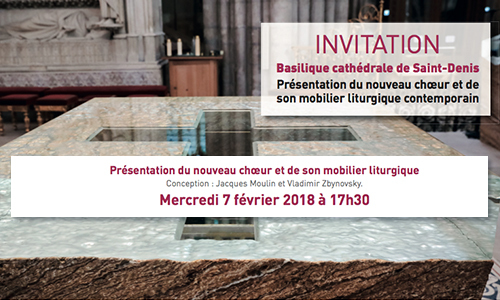 Nous sommes très heureux de vous annoncer que l'autel imaginé par Vladimir Zbynovsky vient enfin d'être posé à la basilique cathédrale de Saint-Denis ! Une vidéo racontant ce fort évènement va bientôt voir le jour. 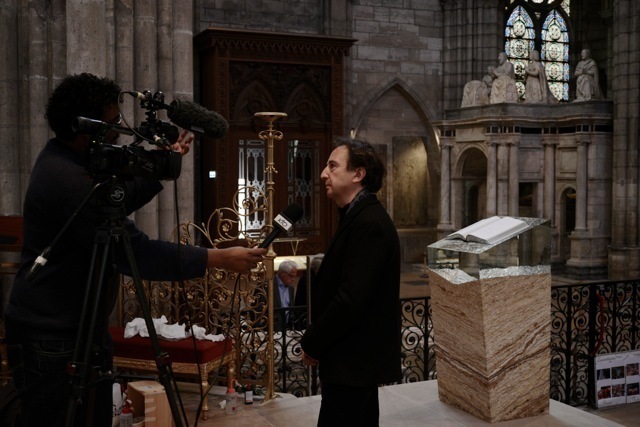 Ce mardi 11 Avril 2017, l'Ambon, une oeuvre de pierre et de verre, réalisé par Vladimir Zbynovsky a été installé dans la Cathédrale-Basilique Saint-Denis, regardez le reportage fait par KTO et revivez aussi ces moments au travers des photographies de Peter Zupnik, artiste photographe. Matei Negranu guest of honor presents his works and those of a few artists he appreciates , whose work interests him, Matei invited Leperlier Juliette , Anne -Lise Riond Sybony - Gilles Chabrier, Antoine Leperlier Dinu Diaconescu Vladimir Zbynovsky and Perrin and Perrin couple. Create a cultural and tourist attraction for our region by enhancing our territory throughout its history and expertise ," such is the ambition of the elected to the Hall of Glass , which opened its doors in 2009. The Capazza gallery , historical heritage beautifully restored seventeenth century , attached to Nançay Castel , is located in the heart of the Sologne, 90 minutes from Paris and close to the Loire Valley . In an exceptional setting of 2000 m² you can admire the works of 82 internationally renowned artists embodying contemporary art in the most representative records of the visual arts . BREDA meets art is an opportunity for companies and entrepreneurs in Breda , the regional cultural community and other interested parties to invite their relations to visit the beautiful art and antiques while enjoying a snack and a drink. 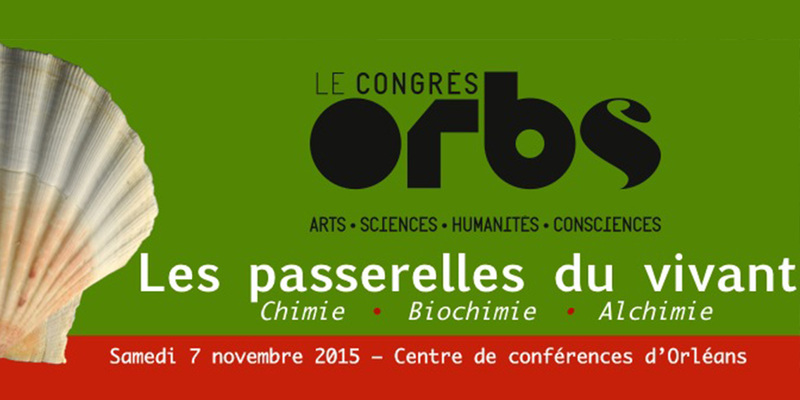 BREDA meets art is a meeting of high-level network. Celebrating its 19th year, APB is dedicated to contemporary, emerging, and modern master works of art of the 20th and 21st centuries. Over 85 international galleries will be exhibiting paintings, sculpture, as well as functional and innovative design. 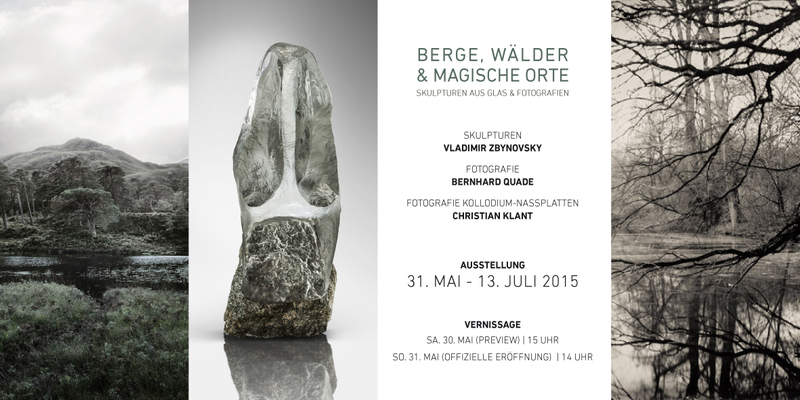 The exhibition "Montain, Forest and magic places" presents us photography of Bernhard Quade, Christian Klant and a large selection of Vladimir Zbynovsky's sculptures. The three artists suggest three particulary differents vision that you can discover on the gallery Continuum website. For the occasion of the great works commissioned by the Ministry of Culture for the façade, the choir and the crypt of the Basilica Cathedral, the diocese of Saint-Denis-en-France is committed to controlling a liturgical furniture for the choir to make visible the liturgical renewal prescribed by the Second Vatican Council. Go on the cathedral website for more information about this project. On Sunday 17 May, the VILLA CAP ARTS will open his doorts. It's a designer house in glass and poured concrete located in the southeast of France, at La Ciotat, with a panoramic view overlooking the Mediterranean, at 20 minutes from Marseille and 3 hours from Paris by TGV. The mixing of genres down all over the garden, including a glass sculpture of Vladimir Zbynovsky. Find more information on the facebook or the website of the Villa Cap Arts.